In this study, optimization of ohmic heating (OH) process parameters (temperature and voltage gradient) to inactivate polyphenoloxidase (PPO) of not-from-concentrate (NFC) apple juice was conducted. Response surface methodology was used for optimization of OH parameters, where the voltage gradient and temperature on the PPO activity in the NFC apple juice was evaluated. Then the optimized condition was used to produce the NFC apple juice and the quality parameters were evaluated and compared to NFC apple juice prepared by conventional heating (CH). The studied parameters were: PPO activity, total phenolic, total carotenoids, ascorbic acid, cloud value, color as well as physical properties (i.e., TSS, acidity, electric conductivity and viscosity). The reduction of PPO activities was 97 and 91% for OH (at 40 V/cm and 80 °C) and CH (at 90 °C and 60 s), respectively. The reduction of the ascorbic acid was 66.8% for OH significantly lower than the 80% for CH treated samples. The total extracted phenolic content was increased by 5.4 and 2.5% with OH and CH treatments, respectively. The decrease in the concentration of total carotenoids for OH (13.17%) was significantly lower than for CH (34.23%). The color values (L*, a*, b* and ΔE) were only significantly increased in the OH treatment. 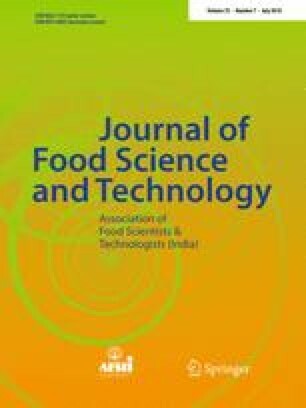 OH is a potential mild thermal treatment in the production of apple juice with improved functional properties instead of conventional methods. Tarek G. Abedelmaksoud would like to thank The Danish Agency for Higher Education for a research grant for his stay as a guest Ph.D. student for one year at Food Production Engineering Research Group, Technical University of Denmark.